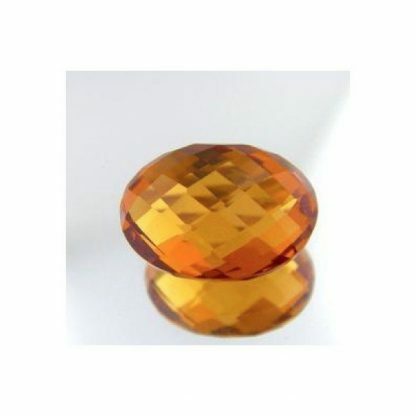 Natural Madeira Citrine loose gemstone for sale, earth mined in Brazil, this sparkling gemstones comes with an attractive oval cut with checkerboard faceted table. 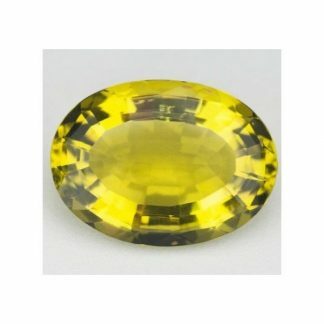 This genuine Citrine is completely natural and untreated it weight almost ten carat, has good size and a rare vibrant and intense color. 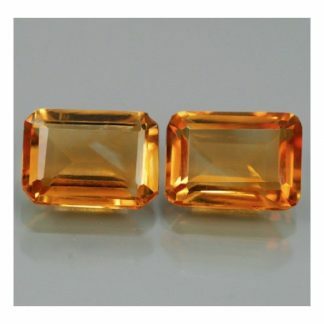 It present a deep yellow color hue with some tint of orange, medium tone and strong saturation, typical of the citrine quartz gemstones called Madeira, this natural colored gemstones present transparent eye clean clarity without visible inclusions into the crystal of the stone. 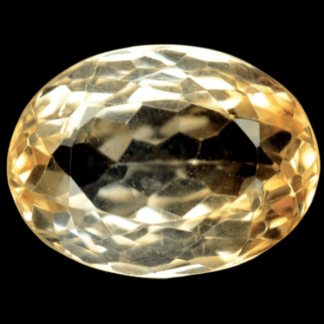 Citrine is associated with the Virgo zodiac sign, is the november birthstone, and is considered a medium hard durable stone duo to its hardness of 7, like other gemstones from quartz mineral fmaily, like amethyst. 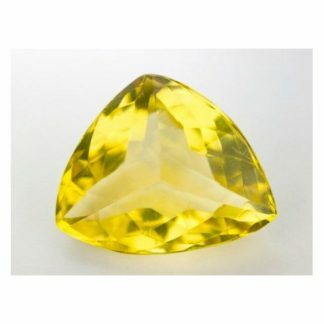 Dimensions: 16.0 X 12.0 mm.